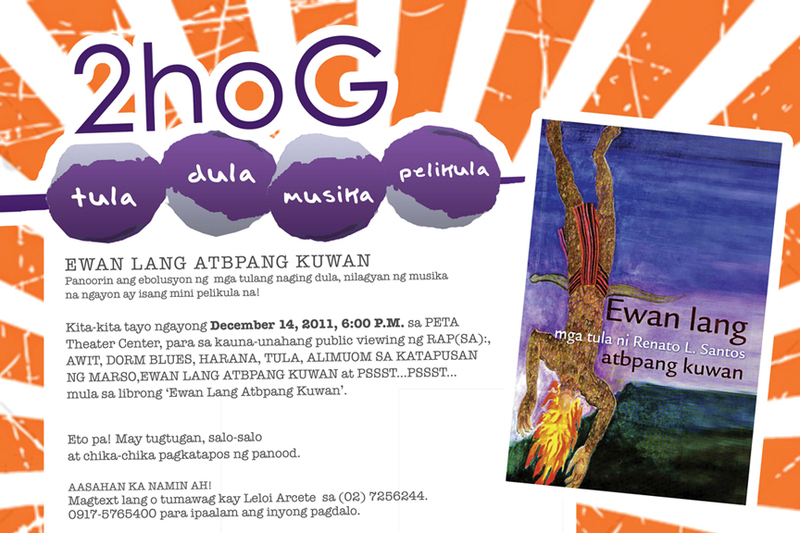 Everyone is invited to attend 2hog: tula-dula-musika-pelikula on December 14, 2011 (6:00PM) at the PETA Theater Center. Featured are the moving poems (cinépoetry) of Carlos Palanca Awardee, Renato L. Santos: Rap(SA), Awit, Dorm Blues, Harana, Tula, Alimuom Sa Katapusan ng Marso, Ewan Lang Atbpang Kuwan and Pssst...Pssst... This project is in collaboration with the Philippine Educational Theater Association (PETA). The videos were directed by PETA Artistic Director, Maribel Legarda. Admission is FREE. There's free cocktails too! 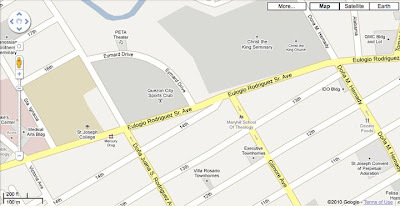 Contact Leloi Arcete to reserve a slot: +63917-5765400, (632) 7256244.